IGTV is Instagram’s new video platform where Instagram users can watch vertical videos or upload vertical videos. It is the equivalent of Youtube for Instagram users. 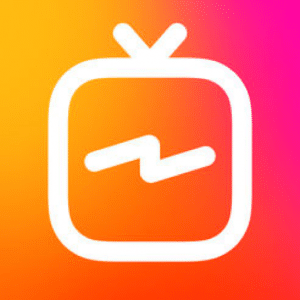 Any Instagram user can create an Instagram TV channel, and upload videos. However, videos must be between 15 seconds and 10 minutes long but larger accounts and verified accounts can upload videos up to 60 minutes long, but they must be uploaded from a computer. There are a few reasons why you should take advantage of IGTV and include IGTV in your Instagram marketing strategy. First, because videos are much more powerful than Instagram posts because they allow to share more information. In fact, according to comScore, 64% of consumers are more likely to purchase products after watching a video about them. The second reason you should take advantage of IGTV and include IGTV in your Instagram marketing strategy is because it increases your reach. 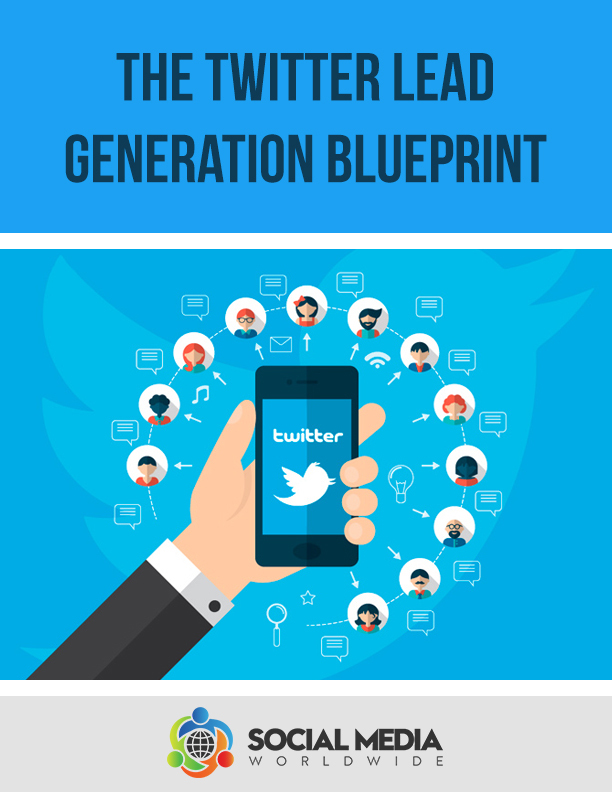 It’s another opportunity for your brand to be discovered and you increase your chances of being front of mind because your followers can subscribe to your Instagram TV channel and they can receive notifications when you publish a new video. 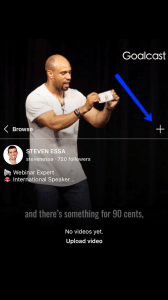 The third reason you should take advantage of IGTV and include IGTV in your Instagram marketing strategy is that you can use IGTV to drive traffic to your touch points since you can include a clickable link in the description of every video you upload. 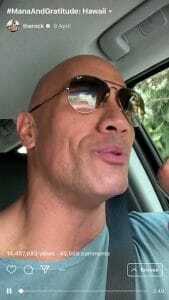 There are two ways you can access IGTV when using Instagram for marketing. Either from your Instagram app. You’ll notice a little TV icon has appeared next to the direct message icon in the top right hand corner of your Instagram home screen. If you don’t see this icon, try to update your Instagram app, by downloading the latest version of Instagram. Alternatively, you can download the standalone IGTV app. Simply go to your app store on your phone, and type “IGTV” in the search bar. Then, click on “get”, and click on “install”, enter your password and wait for the app to download. Then, simply click on “open” or go back to the home page of your phone and you’ll see the IGTV app among your other apps. When you open the app for the first time, it will ask you to confirm you want to access the app using the Instagram account you’re currently logged in as, and then it will ask you whether you want to turn on IGTV notifications or not. Once you’ve followed the prompts you’ll see all the IGTV videos categorized into 3 different categories: “You”, “Following” and “Popular”. Videos under the “you” category is videos Instagram thinks you will like, based on who you follow and the posts and people you engage with in general. Videos under the “Following” category are all the videos uploaded from the people you follow. Videos under the “popular” category are videos that are trending on Instagram. In other words, all the most currently watched videos on Instagram. There is also a search tab where you can look for channels according to the keyword or keywords you type in. 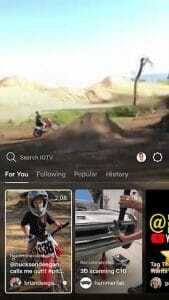 For example, if you type in “national geographic”, all the national geographic IGTV channels will be listed. To come up with IGTV video ideas to create when using Instagram for marketing, check what other people in your industry do. Simply follow them or subscribe to their IGTV channel so you get notified when they publish a new video. Reviews or testimonials of happy customers. Social proof is much more effective than any other type of advertising so make sure you turn into a video what other people say about your business when marketing through Instagram. Explainer videos. An explainer video is a short video that explains what a business does and who it helps and how it helps a specific group of people. 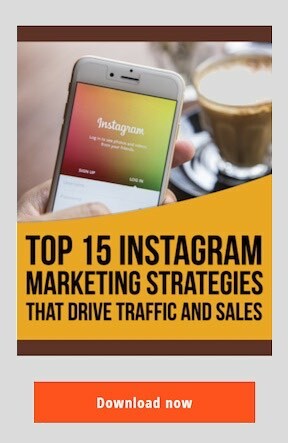 These types of videos are very effective when marketing through Instagram. Educational content. Educational content is anything from how to videos to product demonstrations, to answering frequently asked questions and tips and tricks relevant to your industry which is important to share when using Instagram as a marketing tool. When creating videos for your Instagram TV channel, remember that they don’t necessarily need to be fancy. You can simply use your phone and edit the video if needed using easy editing tools such as iMovie. What is important in a video when marketing through Instagram is the lighting, when videos are too dark or too bright, people will disengage with them, so pay attention to the lighting. Another important element when creating any video, regardless of whether you’re using Instagram as a marketing tool or not, is the sound quality. Make sure you test whether your video recording device is picking up the sound clearly and make sure there is no background noise interfering. But before being able to upload your video on IGTV for your Instagram campaign, you will need to create a channel. You can create a channel either from the Instagram app itself or from the IGTV app. To create a channel from the Instagram app itself, click on the TV icon on the top right hand side and click on the settings gear icon, then click on “create channel” and follow the prompts. 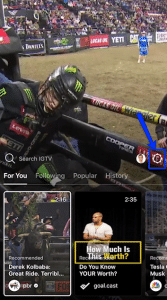 To create a channel from the IGTV app for your Instagram campaign, click on the settings gear icon on the top right hand side, then click on “create channel” and follow the prompts. Then, once your channel has been created, you can upload your videos for your Instagram campaign by clicking on the + icon. You will also need to come up with an attention grabbing title for your video that describes what the video is about. For example, if your video is about mistakes people make while intermittent fasting, don’t just name your video “Intermittent fasting” because it’s too generic. Instead, your title could be “The biggest Intermittent Fasting mistakes to avoid”. Then, you will need to write a description for your video. 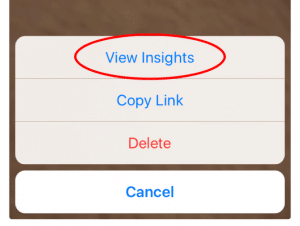 In every description, make sure you include keywords people are likely going to use so your video can be ranked in the search results and make sure you add a call-to-action with a link, to leverage the power of IGTV as a traffic generation tool. Lastly, create a thumbnail for your video. 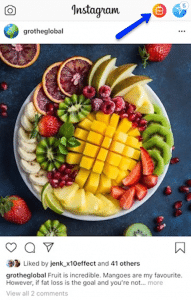 Most videos use the video itself as a thumbnail but if you want your video to stand out from other ones when using Instagram as a marketing tool, create an image with the title of the video. After you’ve uploaded your videos, make sure to check your analytics by clicking on the three dots button next to each of your videos. 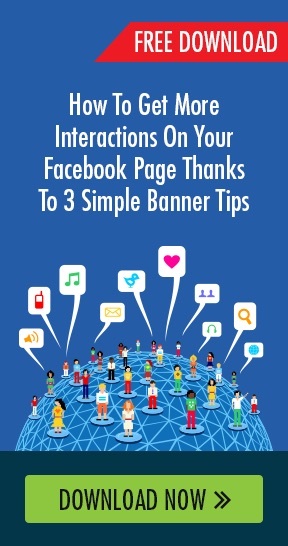 When you do, you’ll be able to see how much engagement your video has received, how long your video was watched for and other interesting information. If you notice a pattern with your videos, things you do that tend to attract more interest than other things, then it’s an opportunity for you to create videos based on what is working best.